Devashee Ispat has a dedicated R&D department, comprising of metallurgists, TMT rolling experts and structural engineers, whose main goal is to constantly strive to improve on our end product so that we deliver the most cost-effective and high quality solutions to the construction sector. Keeping in line with the vision, in 2017, Devashree Ispat launched its new product SHREE TMT XTRA 550. The next-gen SHREE TMT XTRA 550 bars flaunt a unique & innovative 3X (Rib on Rib) pattern that facilitates better bonding with concrete. This in turn ensures that builders require lesser steel to build their structures, resulting in great cost savings. 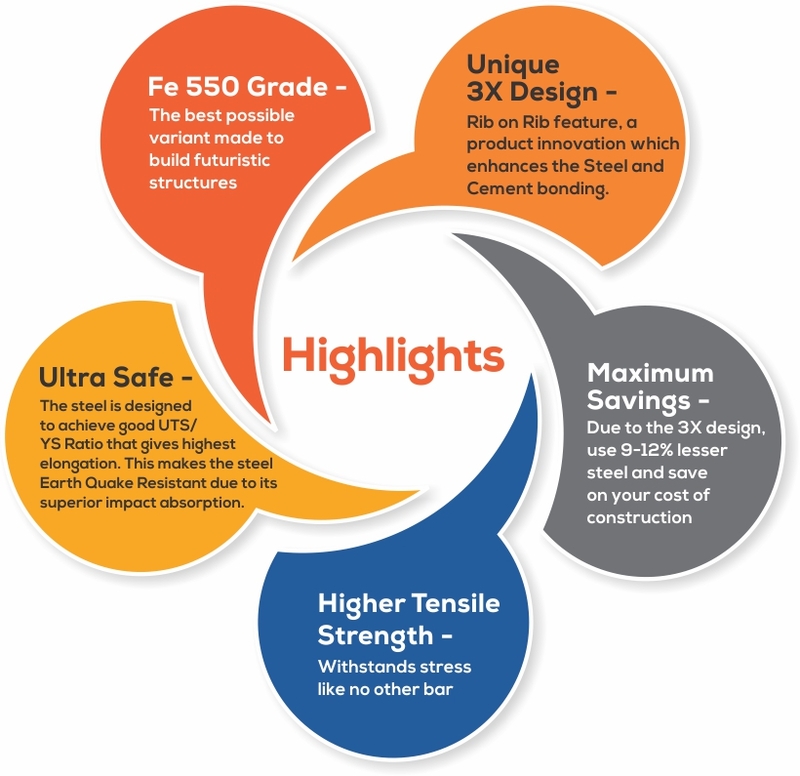 Moreover, all the bars are of Fe 550 grade, which is the highest possible grade available suitable to withstand massive stress, ideal for large & complex buildings. When you choose SHREE TMT XTRA 550, not only do you have the advantage of a superior product that functions more efficiently, but you also get it at a cheaper cost on the whole.